Sechrist Air / Oxygen gas mixers Model 3600 provides for precise mixing of air and oxygen for many clinical applications. 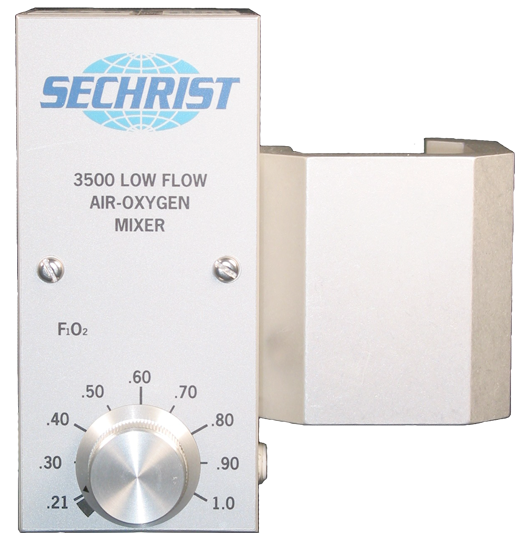 Models 3600 and 3601 are high flow mixers designed for high flow general applications. 3601 utilizes a wall mount configuration and 3600 provides for pole mounting.